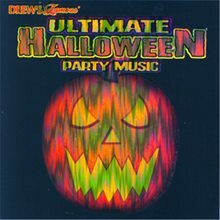 Ultimate Halloween Music CD.Includes: One Ultimate Halloween Music CD. *CD Player Not Included. Sold Separately. The joint will be jumpin’ when you have great music playing. This Halloween Party CD will have your party guests dancing the night away. 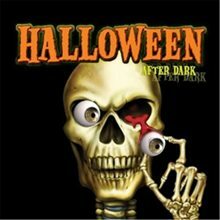 Halloween After Dark CD.Includes: One Halloween After Dark CD. *CD Player Not Included. Sold Separately. This compilation CD features all newly recorded, digitally mastered music featuring The Hit Crew. 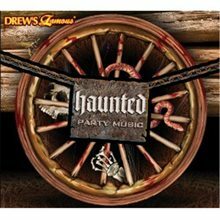 Haunted Party Music CD.Includes: One Haunted Party Music CD. *CD Player Not Included. Sold Separately. This compilation CD features all newly recorded, digitally mastered music featuring The Hit Crew. Bestest Kids Halloween Songs CD.Includes: One Bestest Kids Halloween Songs CD. *CD Player Not Included. Sold Separately. This compilation CD features all newly recorded, digitally mastered music featuring The Hit Crew. Songs include: I Want Candy, Build Me Up Buttercup, The Munsters Theme, The Witch Doctor, Boo, Casper the Friendly Ghost, Wooly Bully, Which Witch is Which. Halloween Fantasies CD.Includes: One Halloween Fantasies CD. *CD Player Not Included. Sold Separately. All of your Halloween Fantasies will come true while dancing to these hot tunes!!! Songs include: The Time Warp, Brick House (Zombie Mix), Superfreak, Wild Thing, Toxic, Buttons, Work It, Milkshake, Hot In Here, Too Close, Welcome to Halloween, Frankenbass, It's Only a Movie, Horror Movie House, Are You Scared? 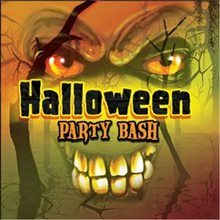 Halloween Party Bash CD.ncludes: One Halloween Party Bash CD. *CD Player Not Included. Sold Separately. The joint will be jumpin’ when you have great music playing. This Halloween Party CD will have your party guests dancing the night away. 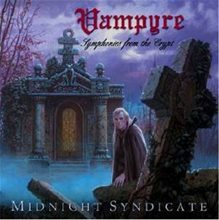 Midnight Syndicate Vampyre Music CD.Includes: One Midnight Syndicate Vampyre Music CD.Symphonics from the crypt, the perfect soundtrack for vampire fans. 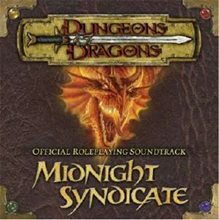 With less focus on sound effects, this CD presents haunting gothic symphonies that capture the fear, fury, and passion of the vampire. Dead Sea DVD.Includes: One Dead Sea DVD. *DVD Player Not Included. Sold Separately. Fish Aquariums just got a bit Twisted. Okay, really twisted! How about no scales, no eyes, no guts... and no life, well sort of. 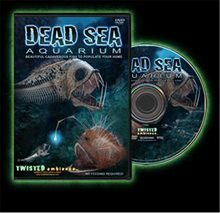 Our skeletal fish populate 5 underwater environments, creating the freakiest fish aquarium you've ever seen!! Jack O Lantern DVD.Includes: One Jack O Lantern DVD. *DVD Player Not Included. Sold Separately. Take your halloween to the next level with this original DV video. 13 different pumpkins just ooze with spooky, funny and just plain bizare Halloween spirit as they come to life and get your in the holiday mood. Each one with it's own original music, sound effects and animated environment. 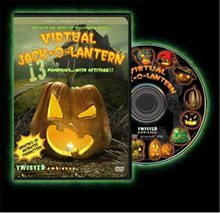 Or turn off the background and place your TV in a window for your very own "Virtual Jack-O-Lantern" State of the art 3D animation created for this DVD only. 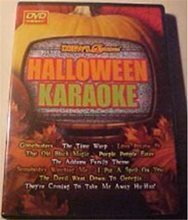 Halloween Karaoke DVD.Includes: One Halloween Karaoke DVD. *DVD player and Accessories Not Included. Sold Separately. You will be the star of your Halloween party! 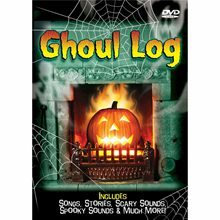 Just pop this DVD into your DVD player and sing-a-long with everyone's favorite Halloween party songs. Have fun with your friends and family as you follow the words as they appear on your TV. DVD shows footage from classic scary movies to create the perfect entertainment for your Halloween party.